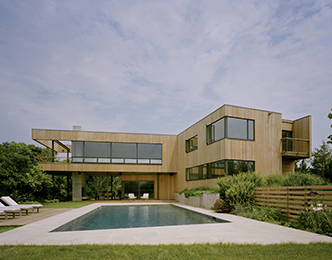 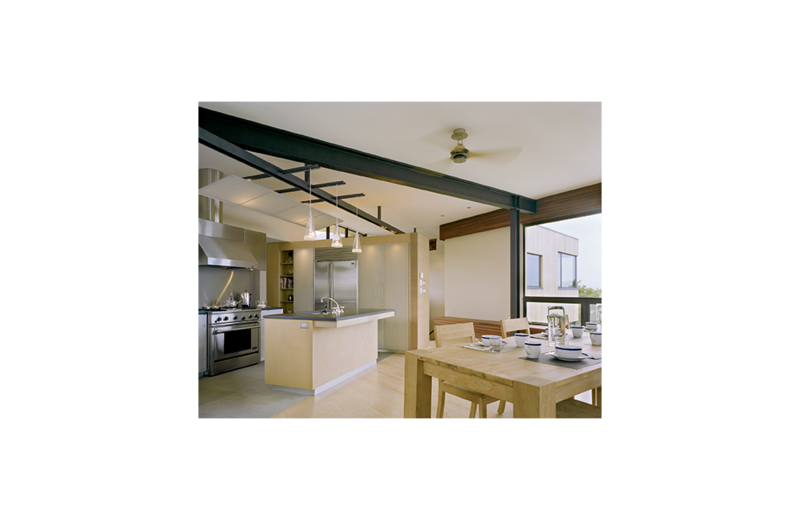 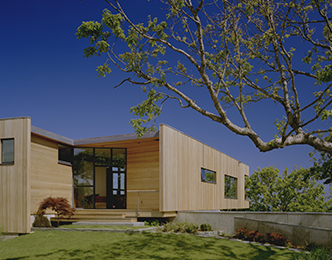 MSA was presented with the challenge of taking an unfinished existing building shell and completing the exterior and interior design of this house. 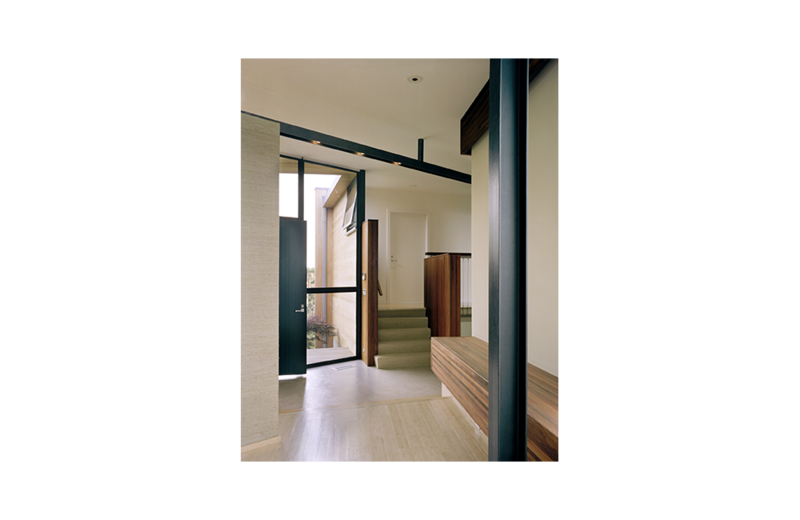 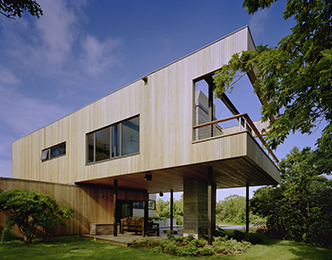 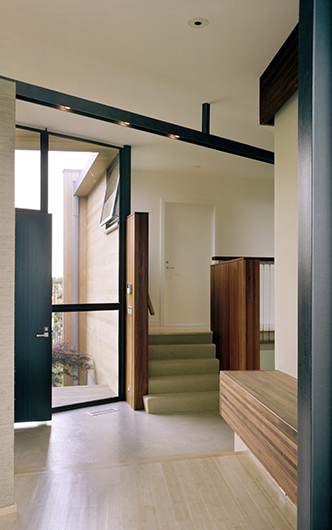 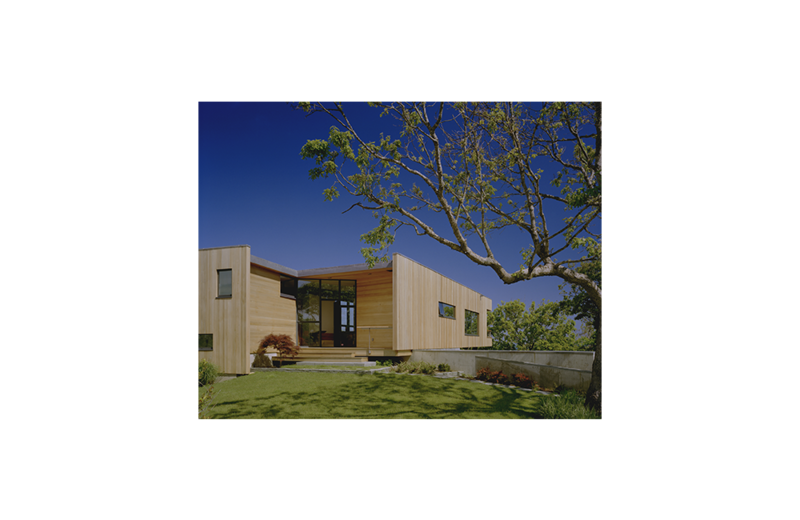 Starting with the exterior, the building envelope was redesigned to provide a coherent architectural language through the use of vertical flat cedar siding, metal panels, and wooden rain screen elements. 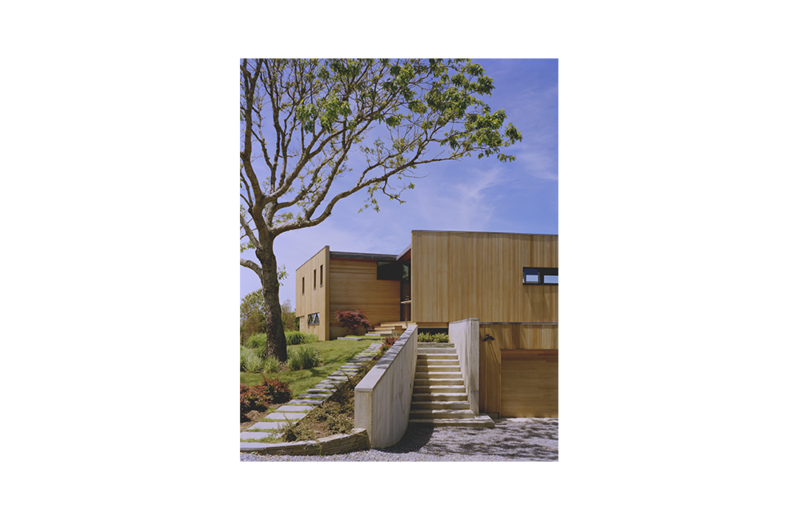 MSA was presented with the challenge of taking an unfinished existing building shell and completing the exterior and interior design of this house. 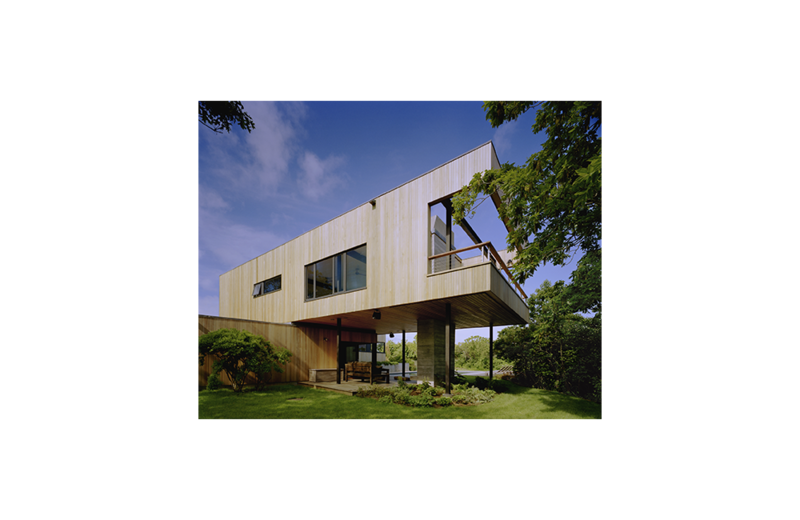 Starting with the exterior, the building envelope was redesigned to provide a coherent architectural language through the use of vertical flat cedar siding, metal panels, and wooden rain screen elements. 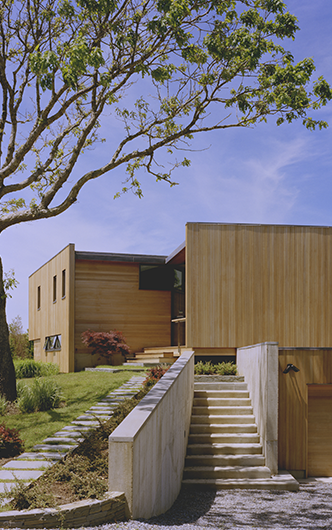 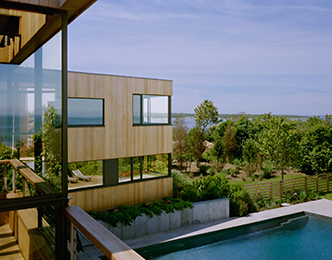 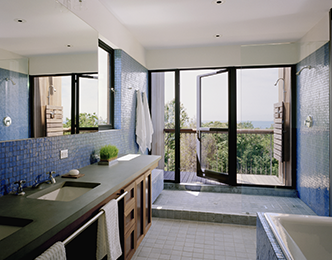 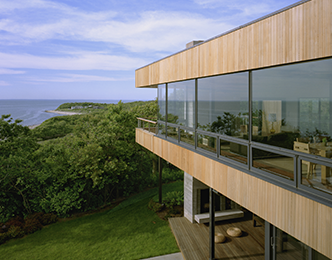 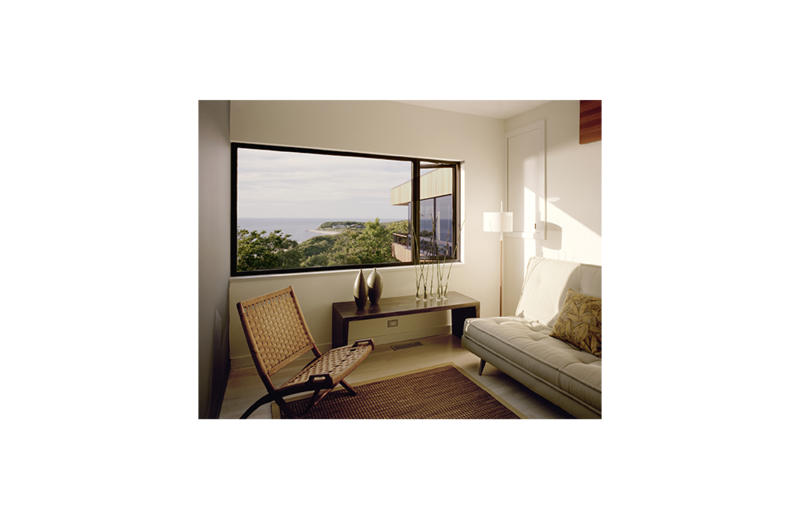 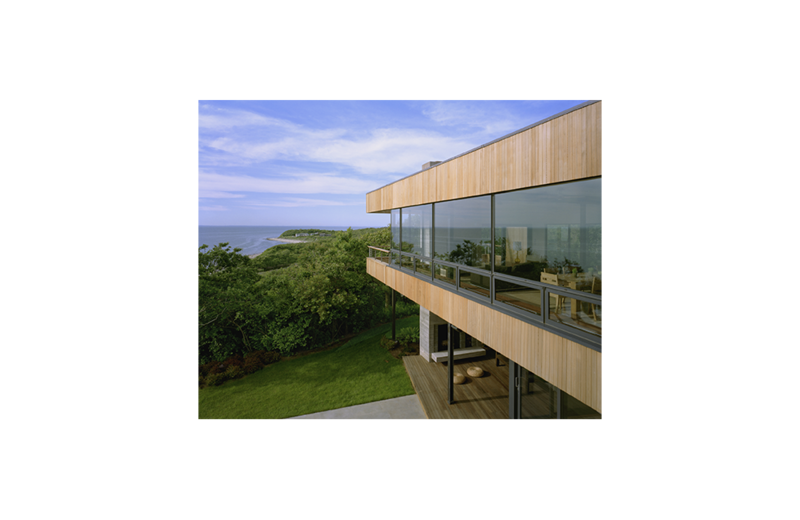 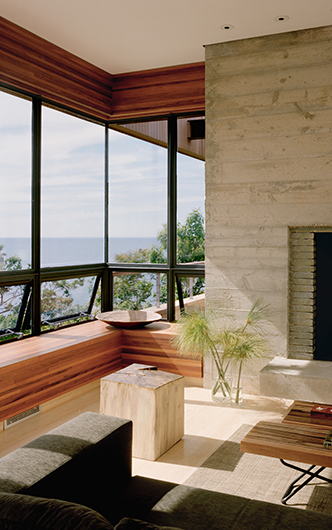 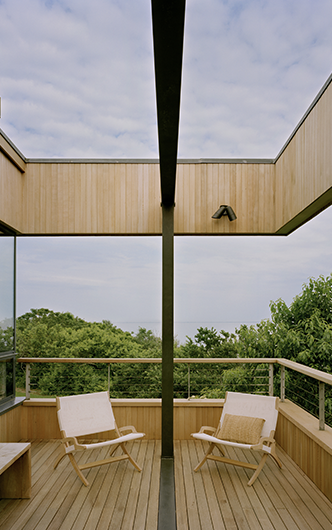 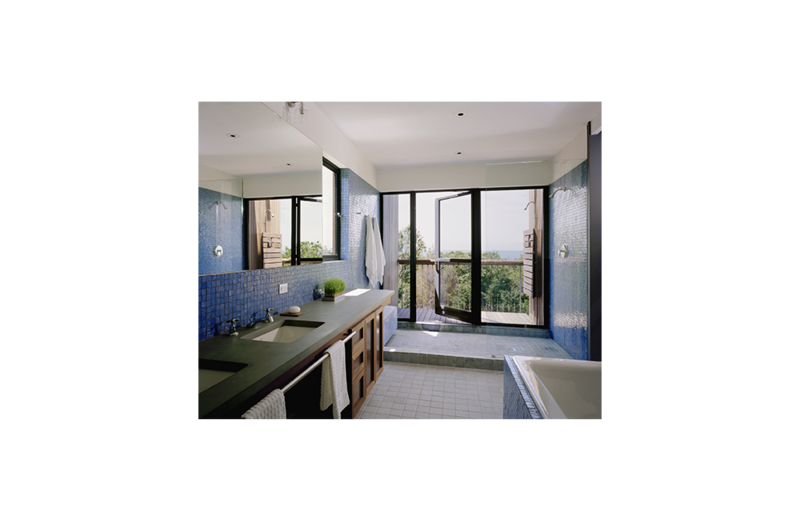 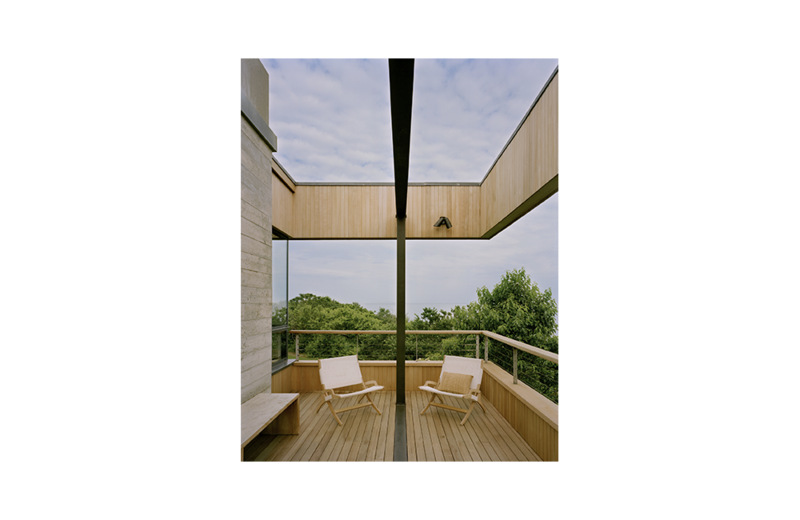 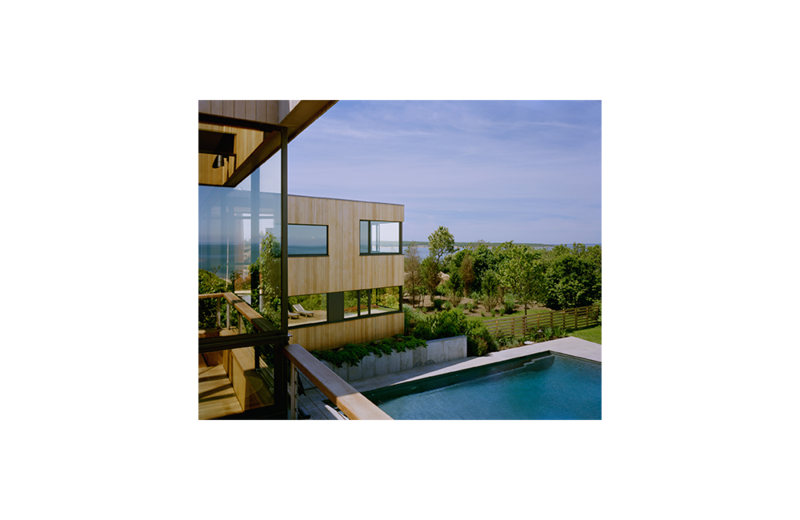 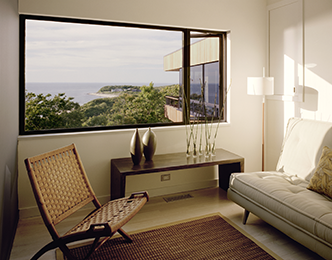 The pattern these three design tools create regularize the home's facade, providing the important function of both protecting the house from the seaside elements without impeding the magnificent ocean views the location has to offer. 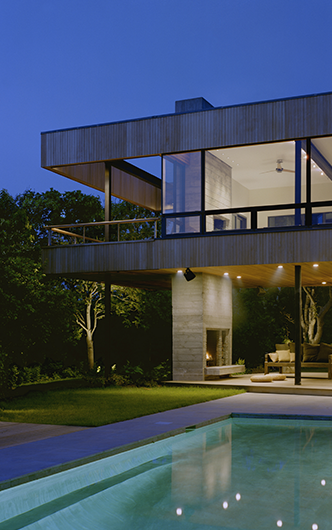 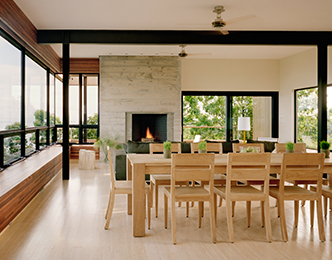 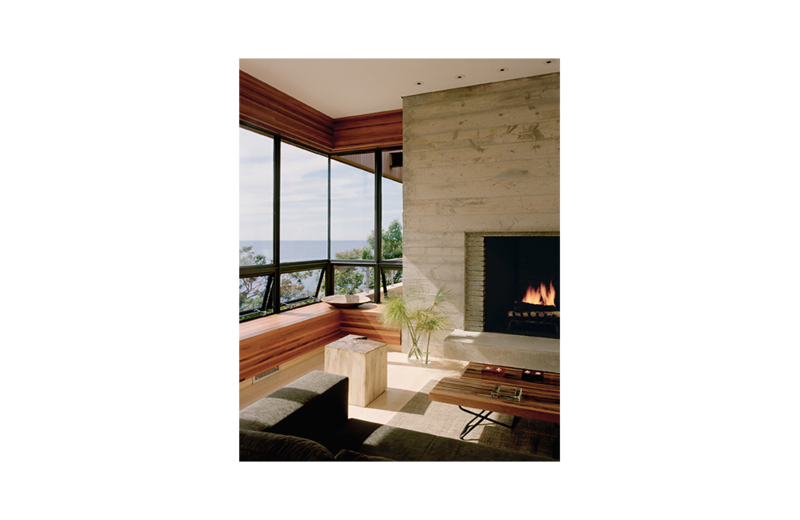 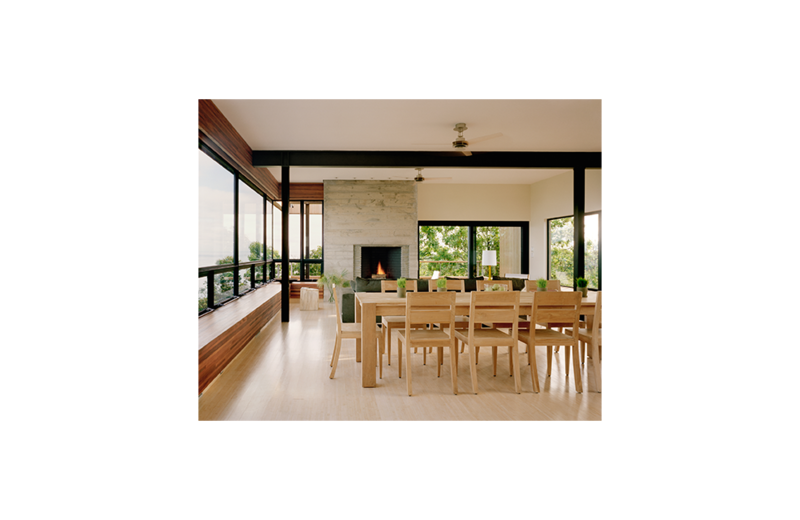 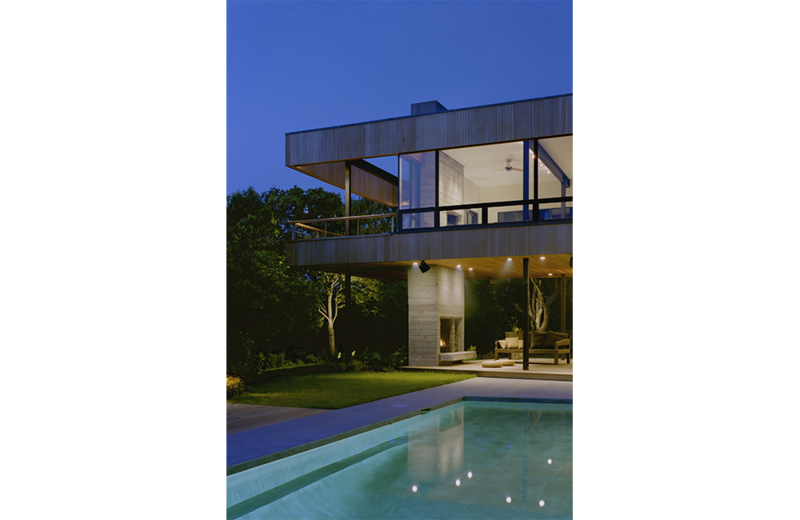 The design approach conceives of the exterior and interior spaces as a contiguous space, to capitalize on the opportunity the site presents for outdoor living. 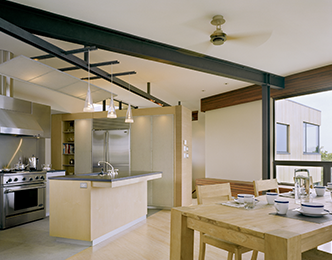 The architectural materials employed in the design of the facade described above weave the exterior seamlessly with the interior living spaces; as a result the indoor and outdoor areas can be experienced simultaneously, allowing all family members to share a common space together even while engaged in different activities.